Paul said that knowing God causes us to be filled with all the fullness of God (Eph. 3:19). So if we aren't living in all His fullness, we must conclude we don't know God fully. 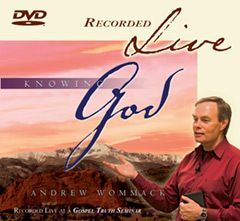 Listen as Andrew shares truths he has learned. The Bible says eternal life is knowing the only true God and Jesus Christ whom He sent. Eternal life begins NOW, not when we die. If we're not experiencing intimacy with God in this life, we're missing the number one goal of salvation. As Christians, we are to walk by faith and not by sight. We can actually see better with our hearts than we do with our eyes. Does that sound impossible? It's not, if we know God. Listen as Andrew explains. 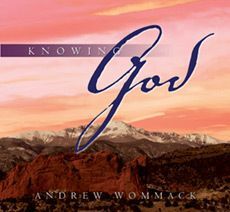 The Lord has revealed Himself in many ways, but the more sure way to know Him is through His Word. Peter said that everything we need comes through the knowledge of Him, and that knowledge has given us exceedingly great and precious promises. 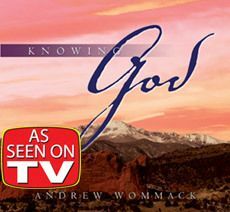 Andrew uses personal experience to help you understand your unrighteousness and God's imputed righteousness. It's key to accepting your new identity in Christ and authority as a believer.